There’s no doubt that housing affordability – or the lack thereof – has been one of the biggest financial challenges facing Canadians in recent years. 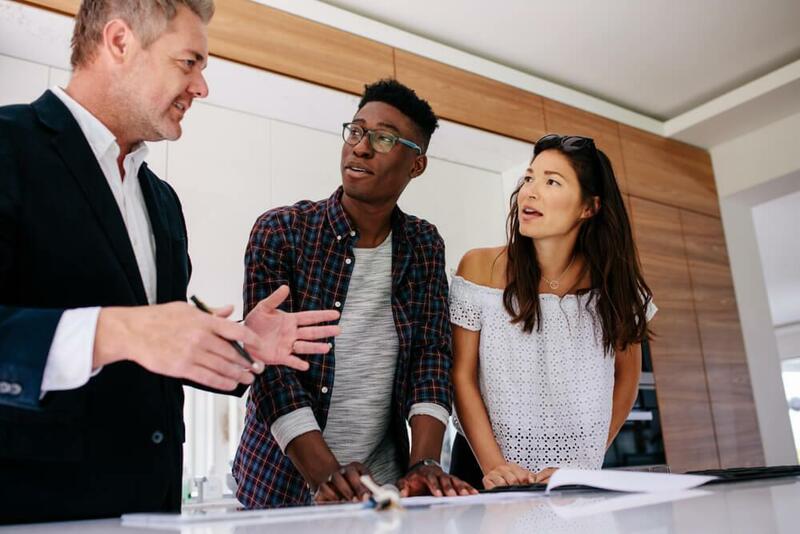 That’s led to growing pressure on the federal government to take action to alleviate some of the pressure, especially for the hardest-hit first-time buyer segment. The topic is especially on point with the latest Federal Budget to be revealed on Tuesday; while Federal Finance Minister Bill Morneau has indicated that there will be something included to address the issue of home affordability, it’s not yet clear what form that would take. The real estate industry, several associations of which have been pitching potential solutions to the feds, has focused largely on reducing the interest rate used in the national mortgage stress test, which was introduced last January to stem risky borrowing practices in Canada. Currently, the test tacks on roughly 2% to the mortgage rate borrowers must qualify at, which has effectively reduced home purchasing power and slowed markets. Another measure that’s been strongly pushed is the extension of mortgage amortizations from 25 to 30 years for first-time buyers putting less than 20% down on their home purchases. Such a move would shrink monthly mortgage payments and also aid in stress test qualification. However, a recent study from Zoocasa finds Canadians aren’t as keen on these measures as industry players are. While a whopping 82% feel that housing affordability is a major issue, just over half – 55% - feel that the government could effectively take action against it. As well, just 21% feel that any sort of progress can be made toward the issue over the next five years. 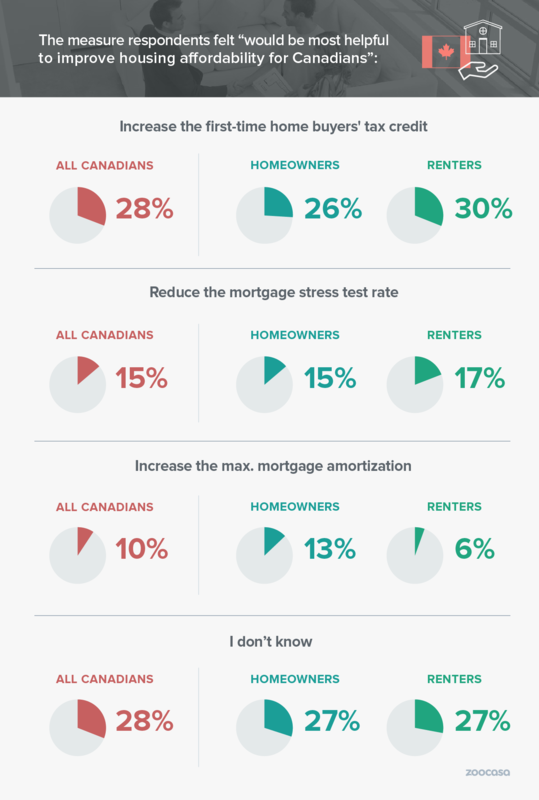 It was also interesting to note that knowledge of the stress test itself is not as widespread as expected – just 57% of respondents said they were aware of it, and of that group, only 50% feel reducing it would help with affordability. Only 15% of all respondents felt reducing it would be effective. Respondents were also less likely to feel that extending amortizations to 30 years would help – only 10% indicated as such. In fact, what the majority did feel would be most effective translated to more cash in pocket – an expansion of the First Time Home Buyers’ Tax Credit, which currently pays $750 to those who’ve purchased their first home and claim it on their taxes. Penelope Graham is the Managing Editor of Zoocasa.com, a real estate website that combines online search tools and a full-service brokerage to let Canadians purchase or sell their homes faster, easier and more successfully across the nation, including Vancouver condos, Ottawa condos, and Calgary condos. Home buyers and sellers can browse listings on the site, or with Zoocasa’s free iOs app.